Beekeepers are often hired to place their hives in a particular crop to facilitate pollination and to assure an abundant crop. Some crops will not produce or will produce very poorly if no bees are present near the field or orchard. 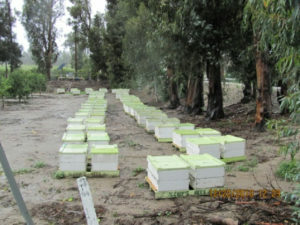 When complaints are received regarding the presence of bees or beehives agricultural inspectors will go out and inspect the area and if the complaint is legitimate it will be referred to the Resource Management Agency (RMA) The Commissioner will work with the Code Enforcement Division of that agency to determine if violations of county codes have occurred. 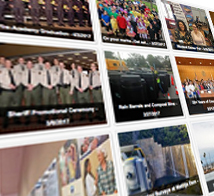 Enforcement action may be taken by RMA if violations are detected. Occasionally people in suburban or rural residential areas will want to keep bees on their property for honey production. This is generally very unpopular with their neighbors and often creates hard feelings and the threat of legal action when the bees end up in the neighbors horse trough, swimming pool or birdbath. 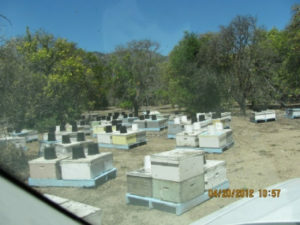 Owners of apiaries are required to register with the Agricultural Commissioner and document the location of their hives. Commercial applicators of pesticides can then contact the Commissioner to find out what apiaries are located within a mile of the proposed application. The pesticide applicator will then notify the beekeeper that an application is planned. The beekeeper can move or cover his hives to prevent damage, or the timing of the application can be adjusted to accommodate the presence of the bees.